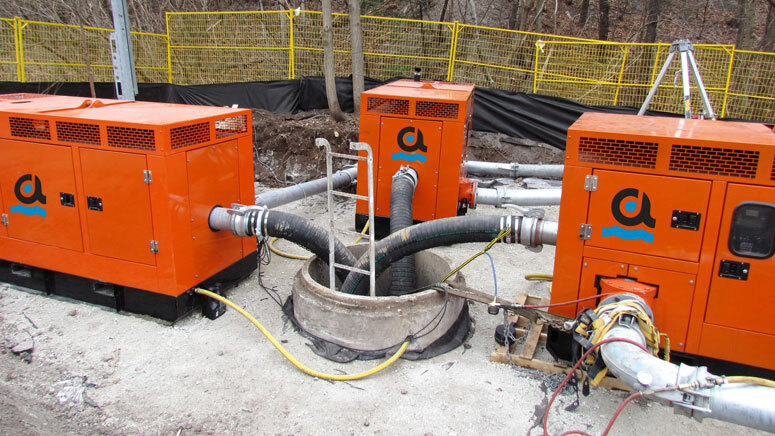 Temporary bypass pumping systems are used to transfer or detour fluids. This enables projects to keep dry and maintain vital services uninterrupted during construction – making bypass pumping a critical requirement on projects. Atlas Dewatering’s specialized bypass pumping systems are custom engineered or designed specifically to each project requirement. Atlas Dewatering specializes in innovative ideas to complete a project: controlling cost factors, time sensitivity, system reliability and redundancy thus minimizing customer risk, improving productions and overall project quality.